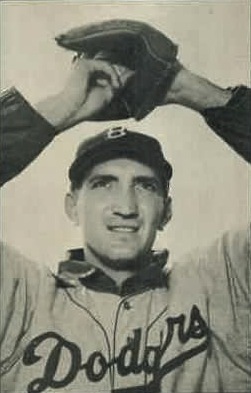 Ralph Branca’s number has not been retired by the Dodgers. His face will most likely never be found on a Hall of Fame plaque. So you may wonder why I am writing a special article about this man. There is one thing that he has been remembered for, he was on the pitching end of “The Shot Heard ‘Round the World.” What is this shot? This shot was hit in 1951 by Bobby Thompson at the Polo Grounds. 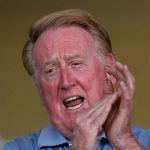 Tom Verducci, a report for MLB Network, said of Branca, “In some ways, Stan, we associate with him obviously giving up the home run to Bobby Thompson. But more importantly, I really think that Nationally he tough us how to lose.” Now this doesn’t sound very nice, but Verducci went on to say, “And for him to fail in that moment, give credit to Thompson obviously to hit it out, but the way he handled defeat, I mean right away he faced up to the fact that he didn’t get the job done. He went on television that winter and was singing songs about it.” This showed that Branca knew how to be a good sport, no matter the circumstance. Until 2010, when Thompson died, the two of them were strong friends. Although the nation didn’t notice the friendship between Branca and Thompson, they saw Branca singing songs about the loss on TV. Branca’s songs showed the nation what true sportsmanship is. That is the way that Ralph’s son-in-law Bobby Valentine announced the death of his father-in-law. I do not know what caused the 90-year-old’s death, but I am sure that the reason was not due to sadness over giving up the home run. This whole country will miss this great man. Sounds like Branca would have been a neat guy to know. I like how he was a good sport. Good role model for other sport players.